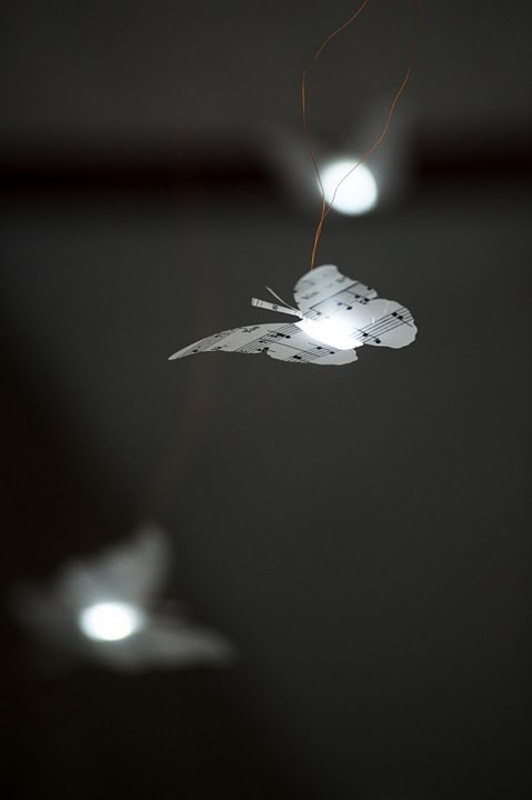 Bibliodoptera is an installation created with collaborator Elena Jessop and commissioned for the MIT 150th Anniversary Celebration FAST Festival. 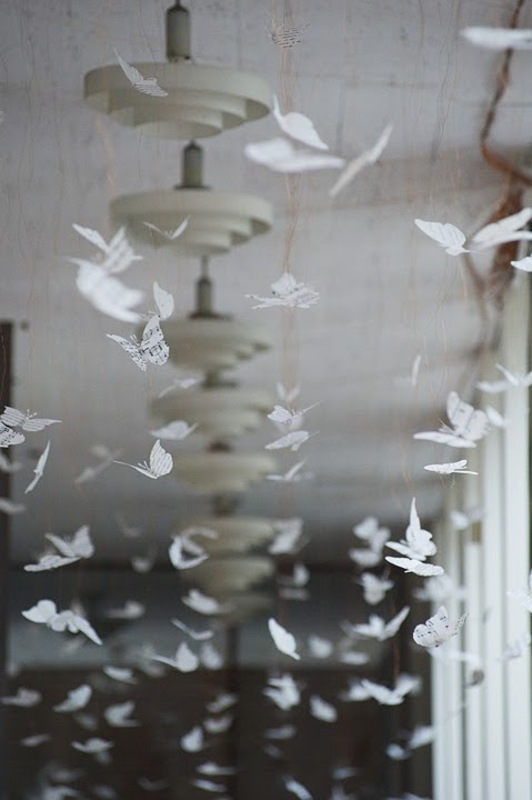 A cloud of vellum butterflies, newly emerged from the chrysalis of MIT’s diverse library pages, floats above in the corridor between the Lewis and Hayden Libraries. 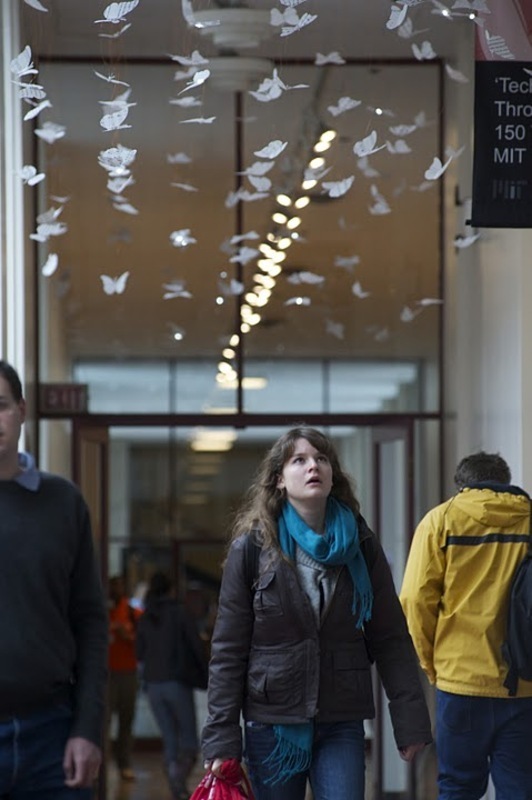 This installation is an unobtrusive but strikingly beautiful symbol of the guiding knowledge of the arts and humanities that have been developed and pursued at MIT over the last 150 years. 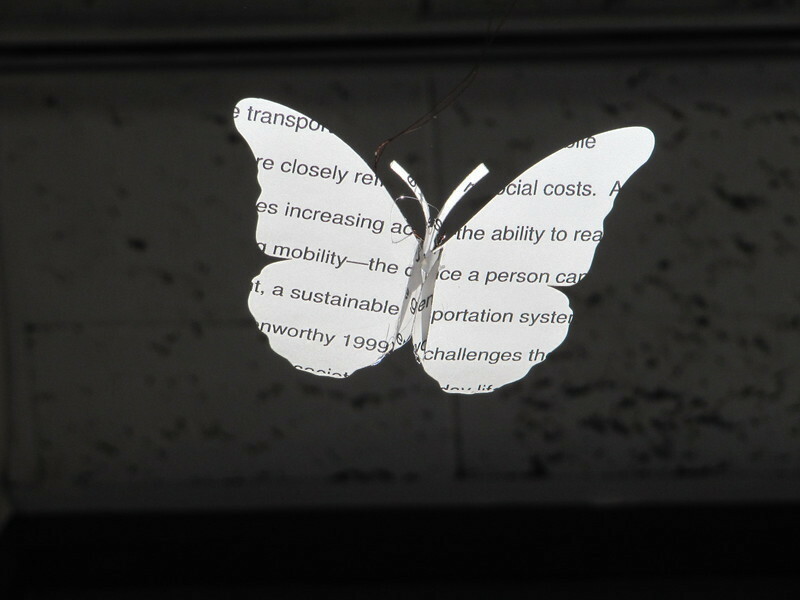 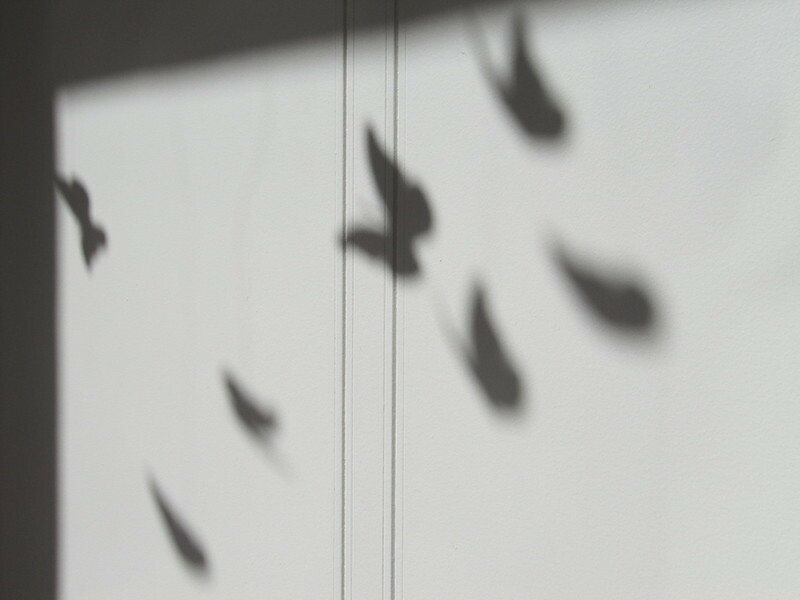 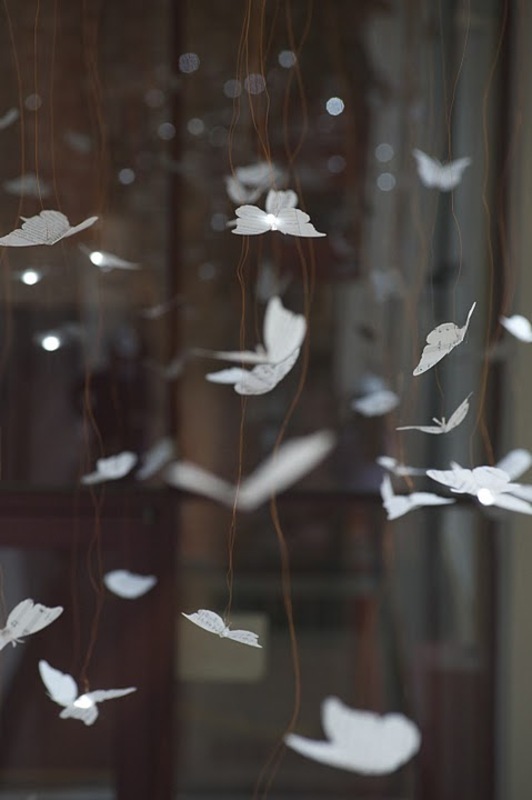 The butterflies, printed with text from books, sheet music and pages of MIT theses, are interactively illuminated by small lights from within.